Philip Whalen was born in Portland, Oregon in October of 1923. He grew up in the small town of The Dalles, two hours southeast of Portland on the Columbia River. After serving with the US Army Air Corps during the second Word War, he returned to the Pacific Northwest to attend Reed College where he met fellow students Lew Welch and Gary Snyder. He eventually moved to the San Francisco Bay Area working odd jobs to support his writing. During the 1950s he met Allen Ginsberg, Jack Kerouac, and other figures of the San Francisco Rennaissance. On October 6, 1955, he was a participant in the historical Six Gallery reading where he read with Kerouac, Ginsberg, Snyder, Philip Lamantia, and Michael McClure. His poetry appeared in issues of the Evergreen Review, as well as other small journals of the period, and in 1960 he appeared in Donald Allen's New American Poetry anthology. Whalen is the author of numerous books of poetry, including Like I Say and Memoirs of an Interglacial Age which, along with other early books, were collected in the 1967 publication of On Bear's Head. He is also the author of two novels, You Didn't Even Try and Imaginary Speeches for a Brazen Head. More recent books include The Kindness of Strangers, Severance Pay, Scenes of Life at the Capital, Canoeing Up Cabarga Creek, Overtime and Goofbook. Whalen's growing interest in Zen Buddhism matured during extended visits to Kyoto, Japan. 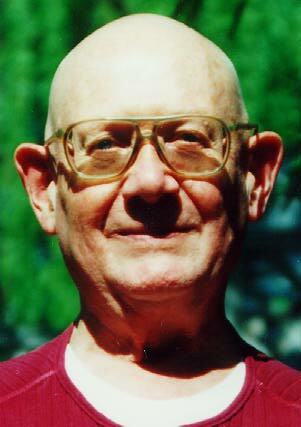 In 1972 he moved to the San Francisco Zen Center and was ordained Unsui (Zen Buddhist monk) the following year. Currently he is the Abbot of Hartford Street Zen Center in San Francisco. TABLE OF CONTENTS NEXT BIO.